This is a heavy duty football pitch spectator barrier system to separate the crowd from the players.The system is very robust and is supplied in either a basic galvanized finish for self assembly or powder coated painted finish A permanent fixed position system to fit the perimeter of a football pitch that is 104 M long and 72 M wide and allows 2m distance from the touchline. Bespoke colours are also available additionally. The posts are 60 mm round and are designed to be directly concreted into the ground. Entrance gates, mesh infill panels or solid 35 mm thick polypropylene planking (to accommodate advertising ) are available at additional cost. 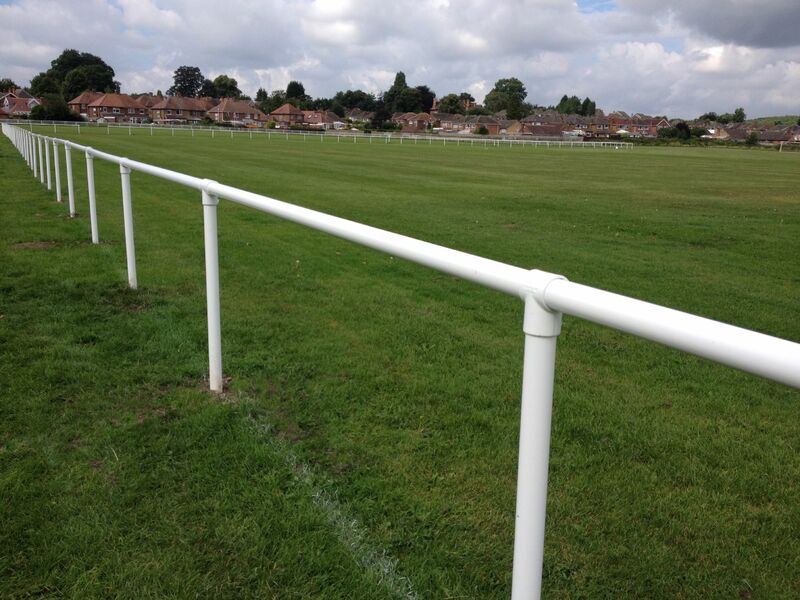 We can also make special one off pitch barrier systems in steel or high impact uPVC or a combination of both on request. 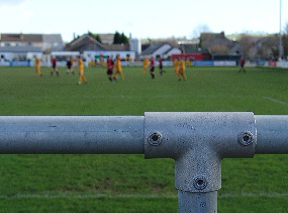 We always suggest the use of the high impact uPVC barriers in 68 mm tube as they are safer for players . For more information email andrew@itsagoal.net or contact our sales office for a same day estimate. We also offer an installation service and the cost will be shown on the estimate. The prices displayed are based on a galvanised with zinc plated fittings and also galvanized and powder coated with zinc plated fittings; mesh panels are not included in the prices displayed. Please note we offer different types of mesh panels. The image is for guidance only and the mesh panel design may vary due to stock and material availability. It is advisable to contact us regarding lead times. There may also be a delivery surcharge depending on your location.